We all know that the 1950’s were the golden age of 3D movies, Hollywood’s attempt to fend off the rapidly growing television audience. Their 3D thrust was short lived, and with a few exceptions, we enjoyed almost 50 years of 2D bliss. This time around 3D is harder to avoid… TV has it too! 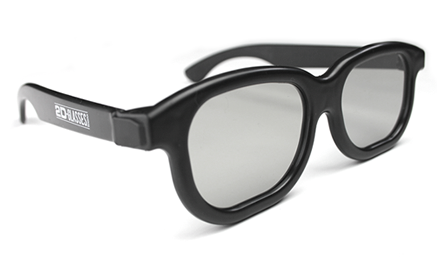 For those of you who want to preserve your 2D way of life, liberty, and the pursuit of happiness, Amazon now offers 2D Glasses, a simple way to revert passive 3D systems for 2D viewing. And who says the world isn’t flat?